Have you gotten the “mom [or dad], I’m bored!” yet this summer? I have and it scares me—it’s only June! 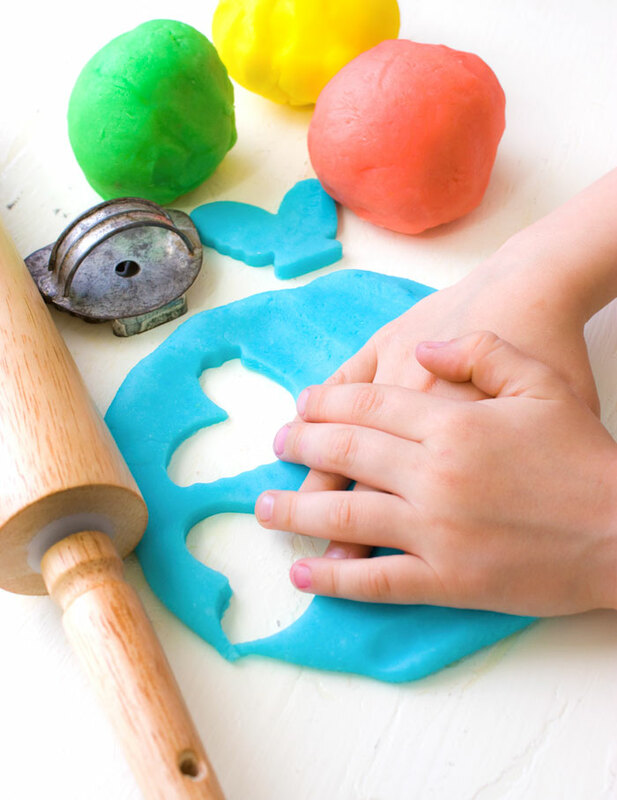 I’ve been scrambling to keep the boys occupied while I spend the mornings working on my forthcoming cookbook and was elated to run across this gluten-free playdough recipe over at Nourishing Hope for Autism. Playdough is a fun and creative art medium. However, for kids super-sensitive to gluten, the Play-doh® brand is not an option. If you look closely, you’ll see that it contains wheat flour and since gluten can absorb through the skin and the mouth (okay, whose kid hasn’t eaten playdough), gluten-free playdough is the solution. This recipe is so easy and, when stored in an airtight container, will last for months. Here are the ingredients you will need.